Performance History: UCSB Jazz Band, Lotte Lehmann Concert Hall, Santa Barbara CA. Tony German, Chris Proudman, soloists. Jon Nathan, dir. 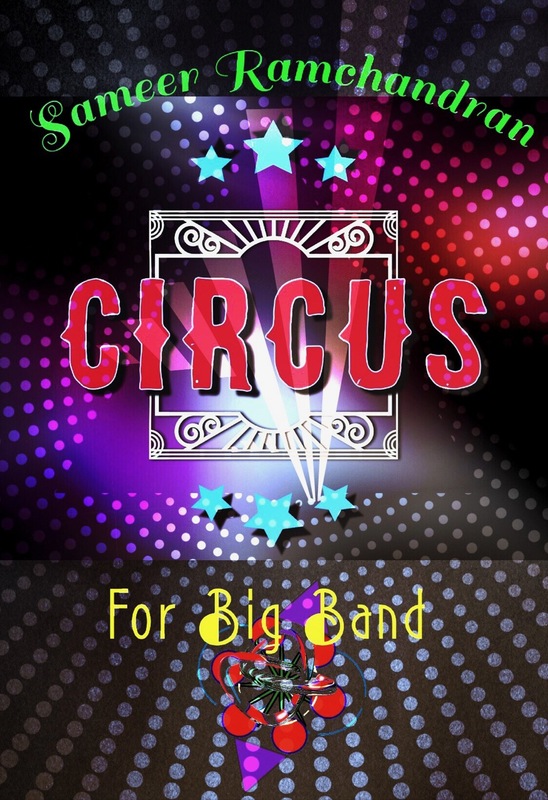 Program Note: The idea behind Circus was to create a through-composed big band chart. The form was to be loose in order to compliment the various improvisatory sections that are peppered throughout. I was a pianist in the UCSB jazz ensemble and I was graciously asked by director Jon Nathan to write a piece for the group. This was my idea of emphasizing what I thought were the strengths of the band – that is, it had a great ability to achieve a balance between the large forces of the ensemble and the soloist(s), as most great bands do. The texture here is often polyphonic; I wanted to contrast this polyphony against the more homophonic, traditional “shouts.” I also wanted to create a sound that could be at home with a contemporary music ensemble, while also being reminiscent of a traditional big band. The melody from the opening is the main structural point of here, as it is transformed in various ways as the work unfolds.